Via Exeuctive Order, Florida Governor Rick Scott today ordered mandatory drug testing for newly hired state employees, and periodic testing for existing employees. Scott issued an executive order requiring each of his agencies to amend its drug testing policy within 60 days to require pre-employment screenings of all job applicants and random testing of the existing work force. The American Civil Liberties Union, though, pointed out that a federal judge in 2004 ruled random drug testing of most state employees was an unconstitutional violation of privacy rights. 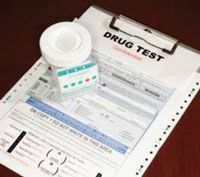 The ACLU says in order for a drug-testing requirement to pass constitutional muster, there must be some connection to safety, or some evidence of illegal drug use.